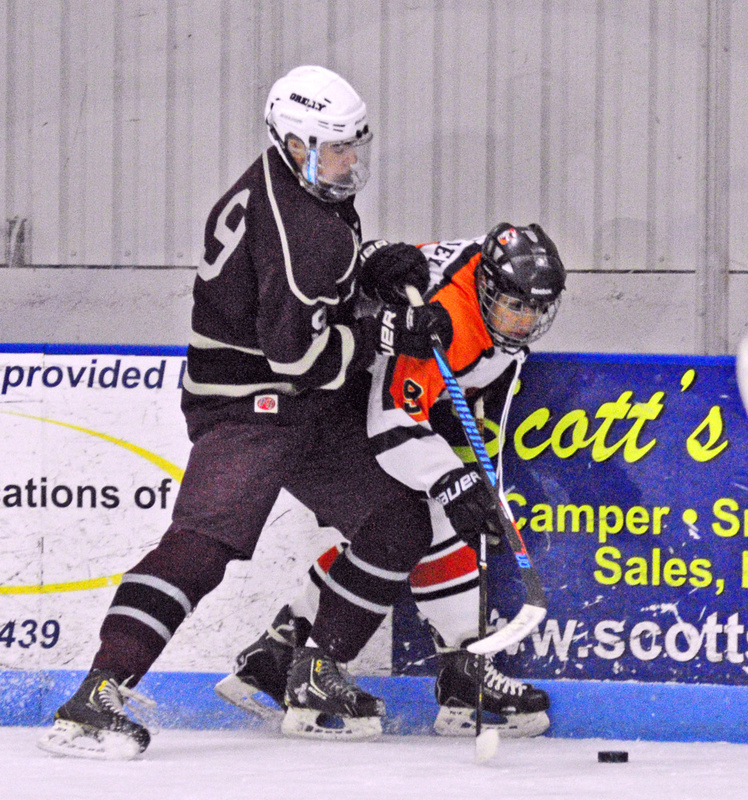 HALLOWELL — Michael Poirier was keeping the Gardiner Area High School hockey team in its season opener. The senior goalie just needed a little bit of help on the offensive side. Leave it to a family member to provide the boost. 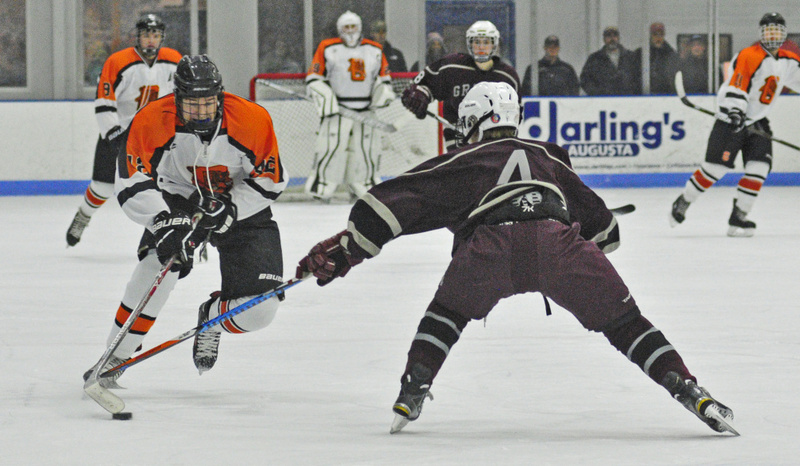 Poirier made 27 saves and younger brother Matthew scored twice, including the game-winner, to lift the Tigers to a 3-2 victory over Greely on Saturday at the Camden National Bank Ice Vault. The Tigers got the win by breaking a 2-2 tie in the third, thanks to the instincts of the younger Poirier. Greely was in the attacking zone when the sophomore Matthew stole the puck away from Ranger Andy Moore and tore up ice for a breakaway. Once at the net, Poirier first took the puck right, then carried it left after the goalie moved and buried the shot for the 3-2 lead with 10:40 to play. The goal was enough to make a winner out of Michael, who helped the Tigers kill six power plays during the game. Poirier was on point on Greely rushes and rebound tries, and made a big stop with 3:50 left when Greely’s Jackson Williams carried the puck in and tried a shot from just in front of the crease. Williams lost his balance and collided with Poirier after the shot, but the goalie held on. The teams swapped goals in the first two periods. Greely struck first at 11:03 of the first after Poirier made a pair of impressive saves, first stopping Matt Kramlich on a rush and then Caleb Duff on a rebound try from the slot. The puck stayed in the Rangers zone, however, and Jake MacDonald took it into the right corner before finding Kramlich in the slot for a one-time goal. Gardiner answered at 13:44 of the first. Joe Clark took the puck close to the goal line on the right side before sending a pass through the slot, and Matthew Poirier was waiting on the other side of the net to bang it home for the tying score. The Tigers took their first lead at 5:34 of the second period. Clark again took the puck into the right corner and flung a pass toward the front of the slot, where Ryan Kelley was waiting on the doorstep to knock it into the net. That lead didn’t last either, as Greely’s Jack Saffian fired a shot from the left side that kicked right, where Peter Lattanzi was on hand to knock home the rebound at 8:49 of the second. 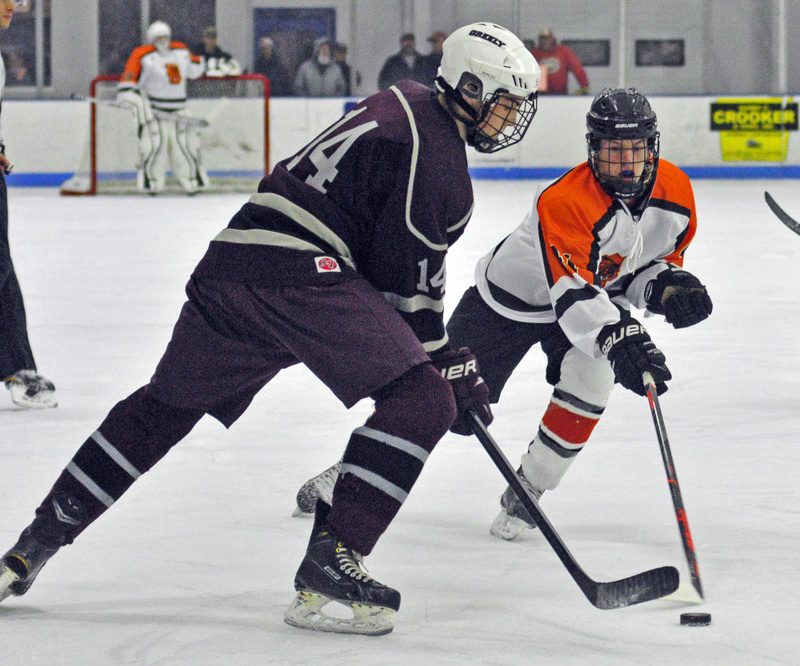 Gardiner’s next lead would be the last of the game, though Greely coach Barry Mothes liked the showing from his team, which went 6-12-0 last year.